Mosaic tiles are known as pieces of art decor dating back centuries for using flooring. also mosaic bathroom tiles is for bathroom remodeling. These tiles are made from various colors of glass, White Mosaic, mother of pearl shell, stone, metal, porcelain, ceramic or other durable materials. The mosaic patterns are primarily used to decorate surfaces like kitchen backsplash, bathroom wall, accent wall and floor. 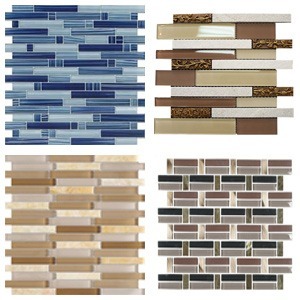 Many homeowners use a combination of standard tile to display an array of patterns and colors bursting with beauty. Interested in mosaic tile in any room or area of your home, patio, or garden, know that at marble n things your choices are limitless. 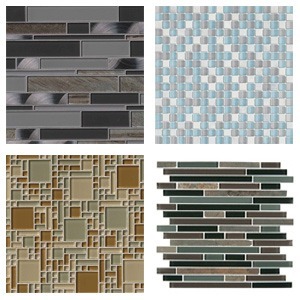 These beautiful decorative tiles accentuate any home adding wonderful curb appeal. Mosaic maker construct mosaic out of various kinds of glass tiles/chips. Mosaic maker also make mosaic designs of stone material such as mother of pearl, pebble, granite, travertine, marble, onyx, and slate. 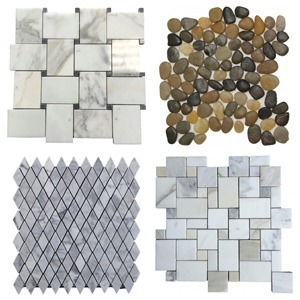 Homeowners can purchase blend tiles using a few different materials. 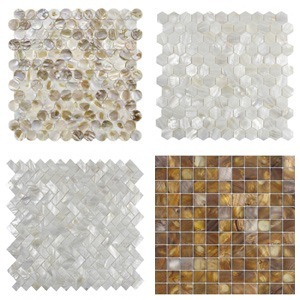 The mosaic tiles are offered in different finishes to go with your décor you can opt for a matte, split face, metal, honed, tumbled, polished, glossy, or natural finish. 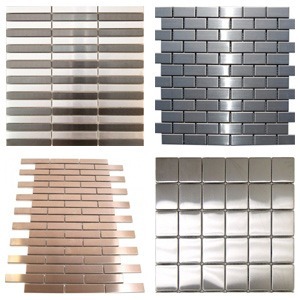 The mosaic manufacturers construct mosaic patterns using different chip sizes, the popular size are 5/8x5/8, 1x1, 2x2, 2x4, 3x3 and random strip. 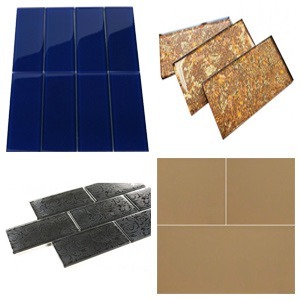 Color of tiles vary widely, and customers find that the list of colors is limitless. You decide if you want more color or less color. 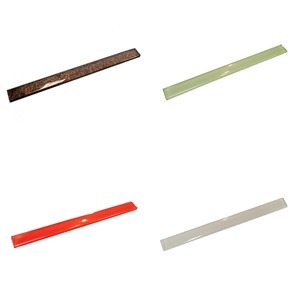 There is also a broad range of the various cuts to the tiles. For instance, you can choose square pattern, hexagon tile, octagon tile, herringbone tile, crackled, circle, diamond, brick, 3x6 subway tile, water jet tile, and much more. If you, as a homeowner are remodeling your kitchen backsplash, bathroom floor, shower wall, living room floor, bedroom floor, or pool and want to add a long-lasting beauty, marble n things - tile company has plenty to offer. Prices are as wide and varied . Your only problem lies in making your decision for the tile most fitting your taste, design, and budget.